As we are all aware, bath season is quickly approaching. Luckily enough, we keep the apartment cold enough for baths to be comfortable ALL THE DAYS, so ya girl can take a bath even when it’s Too Hot Out (which apparently is pretty common in MD). 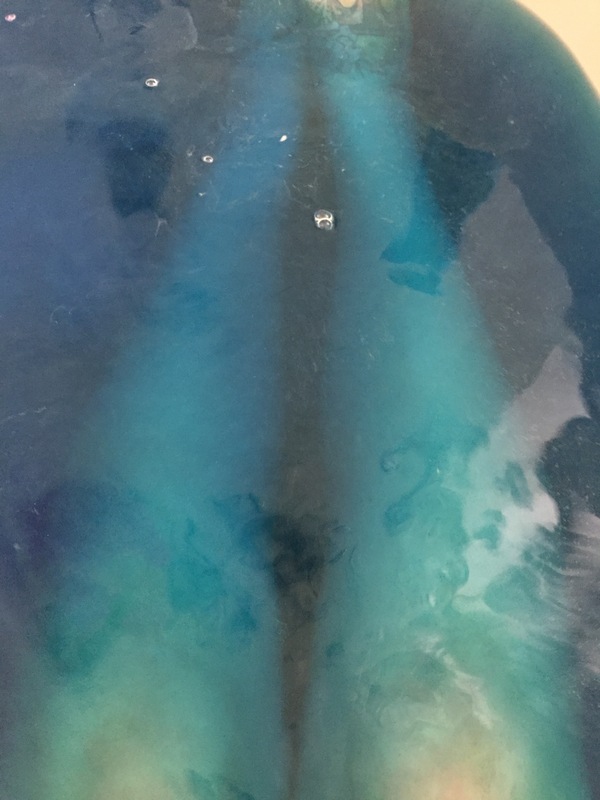 I had the immense pleasure of going into Lush with my friend Sam for her first time, and I grabbed myself a new bath bomb that I hadn’t tried yet; Intergalactic. 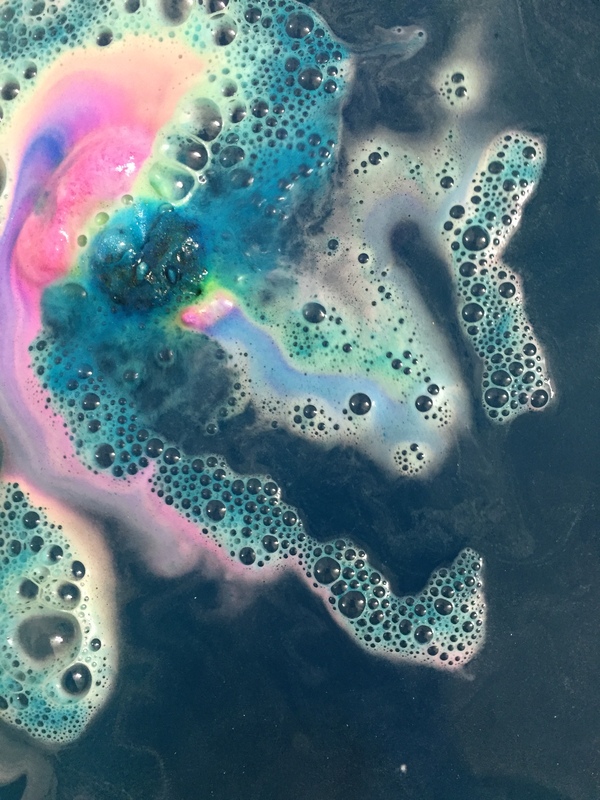 Intergalactic is a bath bomb I’ve had my eye on for quite some time now, but since I have a disgustingly large collection of bath products already, I didn’t make it a priority (dumb on my part, let me tell you). But holy crap, guys. This is so good. First of all, it smells like menthol. You know what that means? It smells minty but also is really good for you if you have a cold. So guess who is stocking up on these guys before it gets too cold? This girl, right here. Secondly, this is so dang pretty. I was a lazy lady and decided not to cut this one (I usually cut them in half to save money and get more baths for my buck), and I’m kind of glad I didn’t. There were so many beautiful blossoms of color and I just about exploded. It was too cute. Third (but definitely not least) this bath bomb made my body feel so good. To the point of “I don’t need a man to touch me, I will just rub my body all over because I am a silky goddess” good. Plus it made me feel like I was floating in a deep, sparkly space. 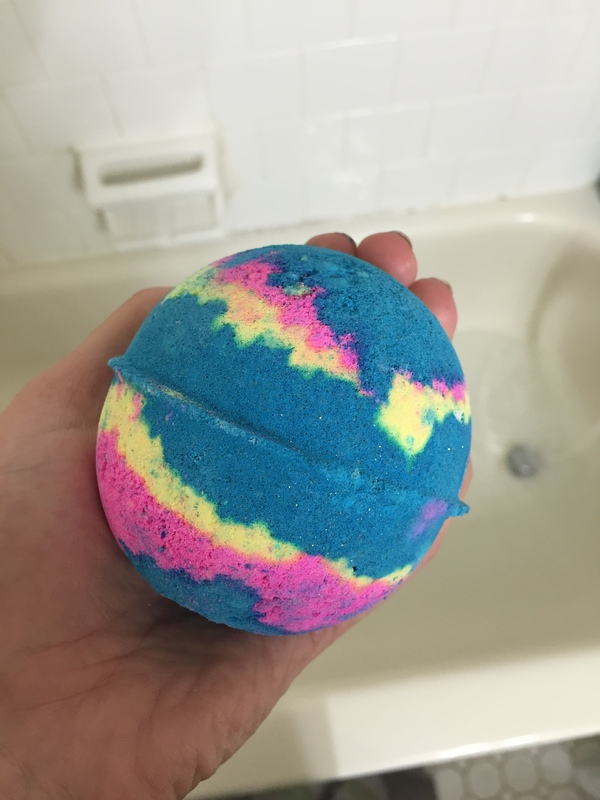 For (what I think are) pretty obvious reasons, I think the Intergalactic bath bomb is my jam. It gives you a beautifully spacey bath that helps your body feel good in all the ways. You can grab on here, or find the Lush closest to you here.